What better way to spend your Oahu vacation than to explore the island VIP style? With Royal Hawaiian Limousine’s luxury Mercedes Benz Sprinter services, you can enjoy first-class treatment while taking in the beautiful sights and sounds of Hawaii. The moment you get off the plane, expect our top-of-the-line Luxury Mercedes Benz Sprinter and dedicated chauffeur already waiting for you to assist you with your luggage and take you to your hotel. We know you’re tired from the plane ride and might even be experiencing some jet lag, so we want you to just relax as we take care of everything you need. With our luxury airport transportation services, you can get to your destination the quick and hassle-free way, as opposed to taking a shuttle bus, having to cram all your stuff on the overhead baggage rack, and enduring a rather bumpy, uncomfortable ride to your hotel, not to mention the noise of about 20 or more passengers around you. With Royal Hawaiian Limousine, there’s nothing of that sort in any of our services. When you book our Oahu or Honolulu airport transportation service, you can expect a hassle-free and comfortable ride all the way. 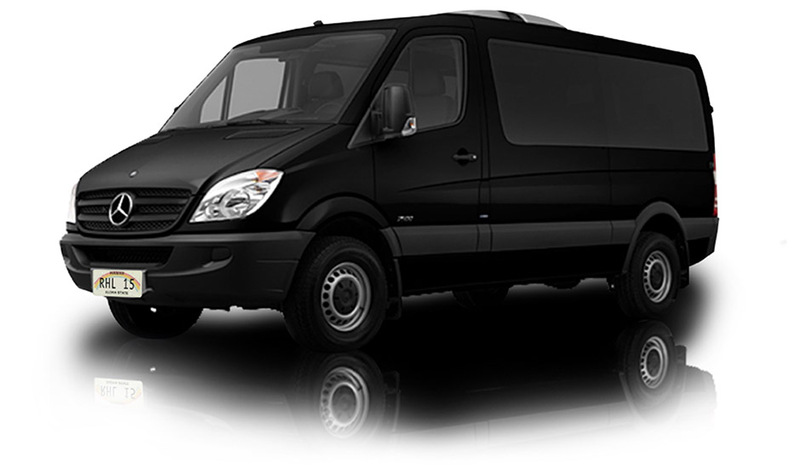 RHL only uses the best luxury vehicles, among them the premium Mercedes Benz Sprinter. Known as one of the best handling vans in the market, the Sprinter is also guaranteed to be one of the safest vehicles on the road. It’s evident that Mercedes Benz employed no less than the most efficient and advanced technologies and parts in building the Sprinter, making it the ultimate van for safe travel regardless of road and weather conditions. The revamped Sprinter’s new safety assist systems, sleek design, and plush interiors are just some of the reasons RHL uses this van for its transportation services. While on board, guests can be assured of a safe and comfortable travel. Get to experience VIP treatment on your vacation with our luxury Mercedes Benz Sprinter when you book our Honolulu airport transportation services. Feel free to call us for inquiries. Note: EXTRA PASSENGERS $15 ONE WAY $30 ROUND TRIP AND EXTRA LEI ONLY $10. Note: EXTRA PASSENGERS $30 ONE WAY $60 ROUND TRIP AND EXTRA LEI ONLY $15.